The Humanitarian Technologies Project is an 18-month study of the uses of social and mobile media in humanitarian relief and disaster recovery. 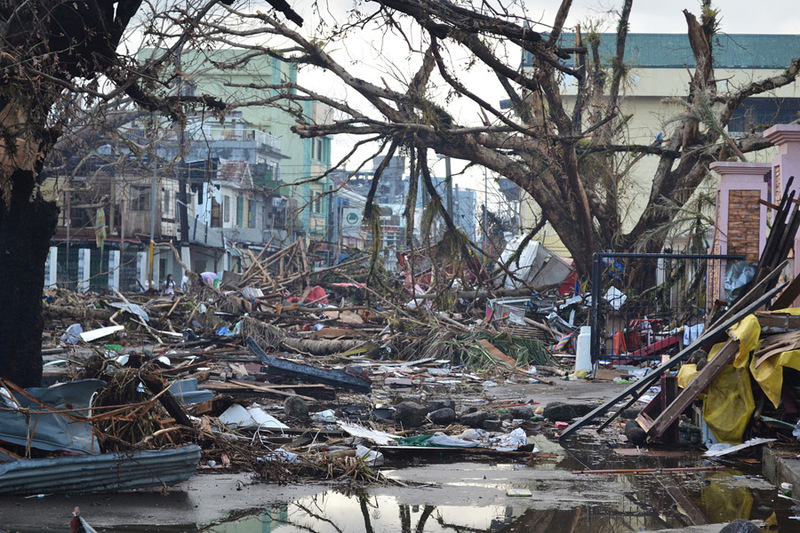 With funding from the Economic and Social Research Council (ESRC) our team of researchers has conducted an ethnography of the Typhoon Haiyan recovery. The response to Typhoon Haiyan (locally known as Yolanda), which hit the central Philippines in November 2013, is widely recognised as the most systematic implementation of initiatives for humanitarian accountability and communication with affected communities. The website provides an overview of the project and its key findings. We also reflect on what we can learn from the Haiyan recovery which may be relevant to other disaster contexts. On November 8th 2013 Typhoon Haiyan hit the Philippines leaving a trail of destruction in its wake. To date, Haiyan remains the strongest storm ever recorded with over 6,300 casualties and more than 12 million people displaced or otherwise affected. Within minutes after Haiyan’s landfall, the web was also flooded with optimism, particularly about the promise of communication technologies in disaster recovery and humanitarian relief. Such optimism is recent although it predates Haiyan. The 2013 World Disasters Report uses the term ‘humanitarian technology’ to refer to the empowering nature of digital technologies such as mobile phones and social media for disaster recovery. It is claimed that interactive technologies enable affected communities to participate in their own recovery, respond to their own problems and ‘make their voices heard.’ Digital technologies are welcomed for their potential to catalyze a ‘power- shift’ in humanitarianism by building feedback structures that empower local communities to hold humanitarian and government agencies into account. Despite the enthusiasm regarding the role of digital technologies as tools for disaster recovery there is little evidence to assess their impact. The ‘Humanitarian Technologies Project’ examines the optimistic account of communication technologies by providing empirical evidence on the uses of communication technologies by affected populations as well as stakeholders involved in the Haiyan recovery. 5) voice and empowerment of affected populations. Between April 2014 and January 2015 we conducted participant observation and interviews with 101 participants affected by Typhoon Haiyan. We also interviewed 38 experts: representatives from humanitarian organizations, local civil society groups, government agencies, telecommunications companies and digital platform developers. Our 10-month ethnography in two affected areas in the Visayas region was supplemented by online ethnography which allowed us to engage with and follow our participants’ online interactions.